The tremendous versatility of the BSO is showcased through their award-winning ensembles. 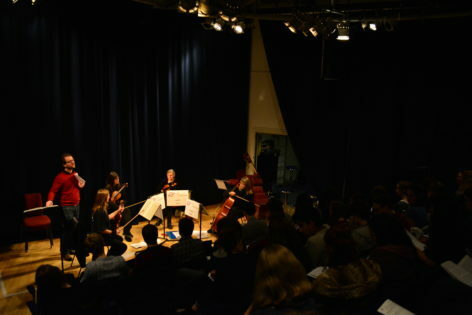 Made up of musicians from the Orchestra, ensembles deliver a varied and tailored programme of high quality performance concerts, tea dances and dementia friendly events, as well as advocating new music. The programme will consist of a selection of well known classics, and is always great fun!